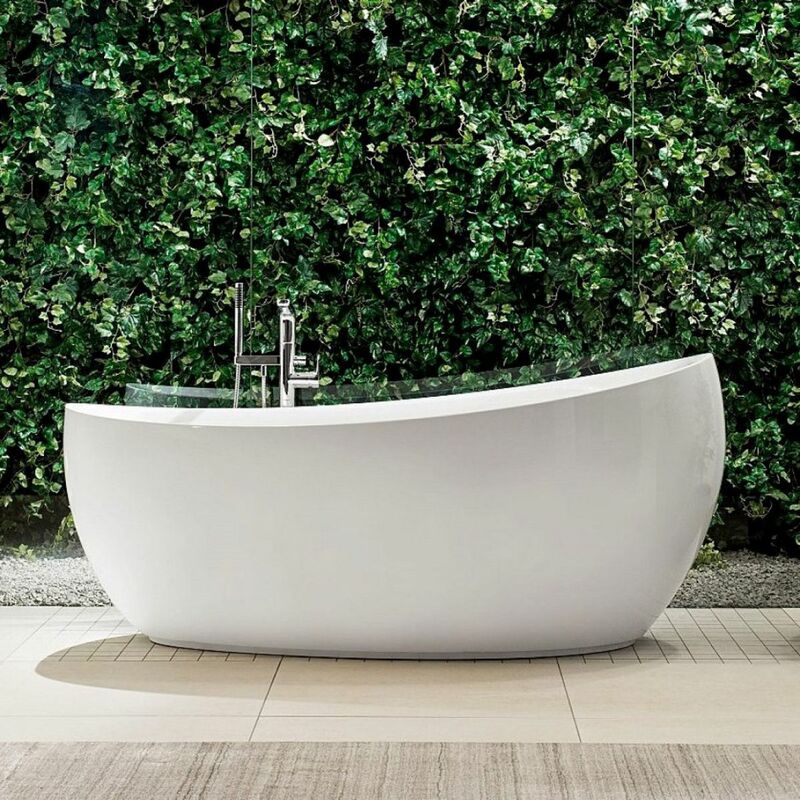 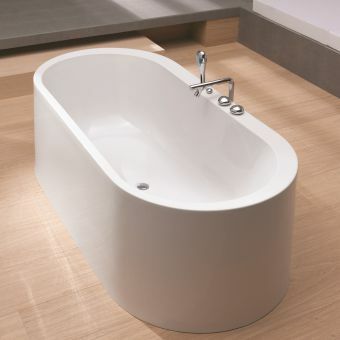 Take time to relax in the luxurious freestanding Aveo New Generation Bath. 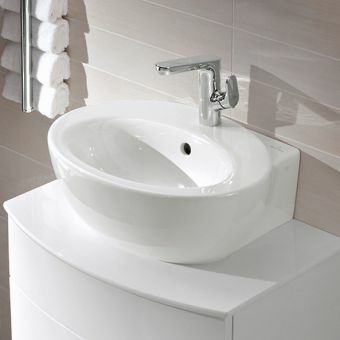 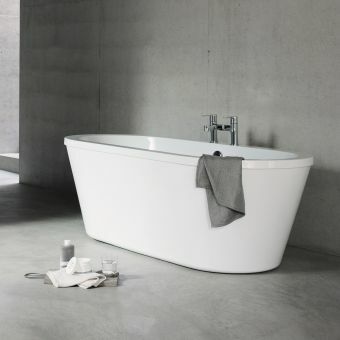 The Aveo range has been updated by designer Sebastian Conran to blend classic functionality and robustness associated with German manufacturing, and shapes of natural structures, such as the egg, to create a stylish bathroom range. 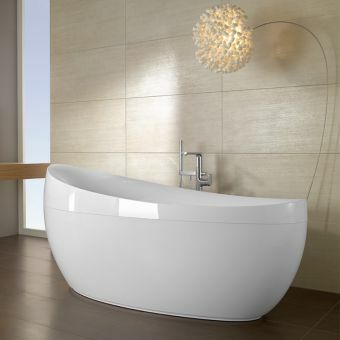 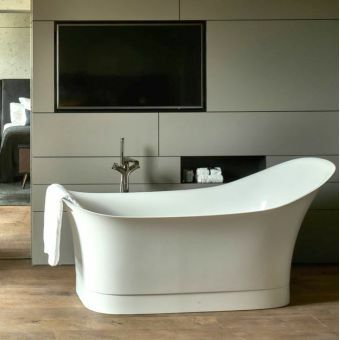 The New Generation bath has the same curved form as the original Aveo bath though is now completely seamless, giving it a more attractive finish. 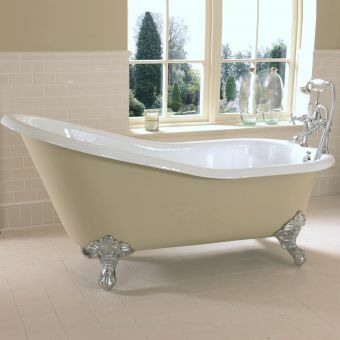 The bath holds approximately 245 litres of water and is made from tough Quaryl. 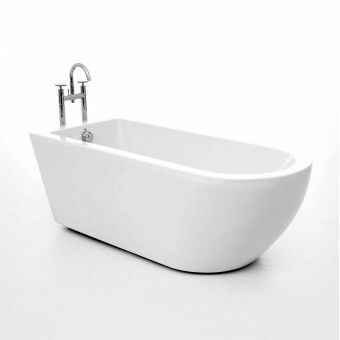 The bath is available with chrome plated standard outlet and overflow or with a pre-fitted Multiplex Trio (chrome plated). 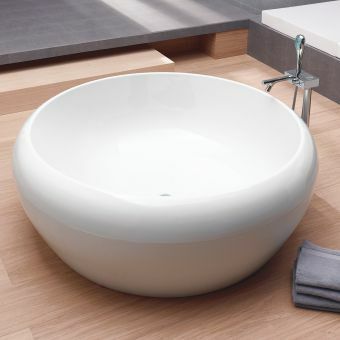 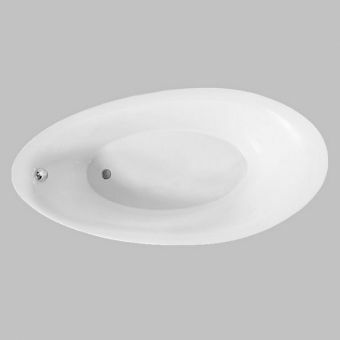 The bath measures 1900 x 950 x 443mm and serves as a beautiful focal point within the bathroom. 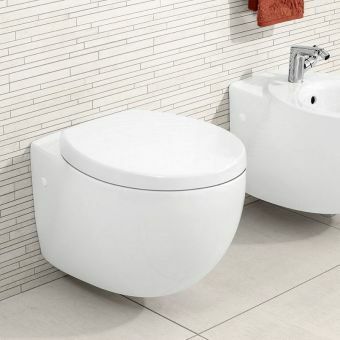 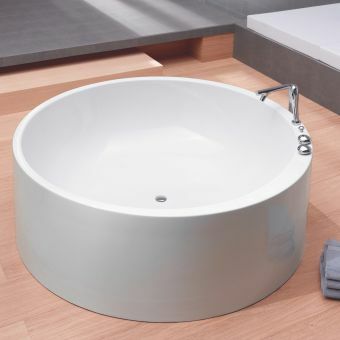 Due to the nature and size of the bath, delivery may be difficult and care should be taken to ensure the route into the bathroom is sufficiently large for installation.